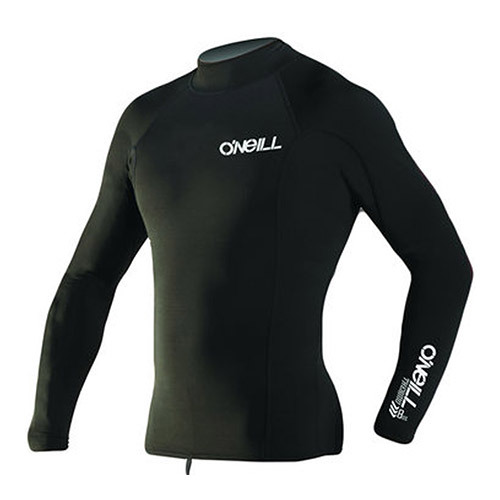 Dive Skins are very light, one-piece body suits that are used while scuba diving or snorkeling. 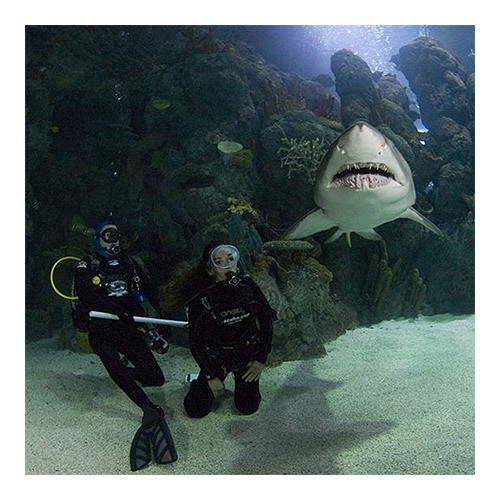 They are used in warm water to offer protection from things that might sting you under water or can be used as a bottom layer under a wet suit. 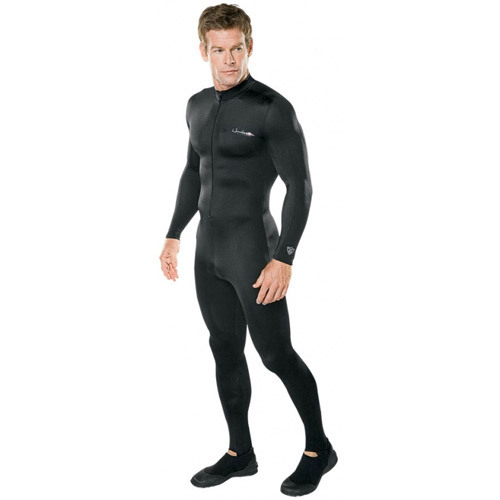 The majority of divers use their dive skin as a first layer under a wet suit. 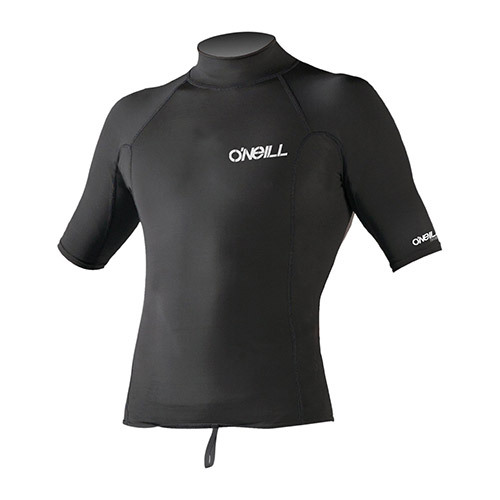 Dive skins are important because they protect you from sun and skin abrasion. They also help your wet suit slide on easier. Dive skins are a much better solution than exercise lycra because it is not made of continuous weave. This means that if you snag your dive skin, it will not run the entire length of the suit like exercise lycra but will stay contained in the small portion that was snagged.